Paula Maya, “Illuminar” (Yellow House). 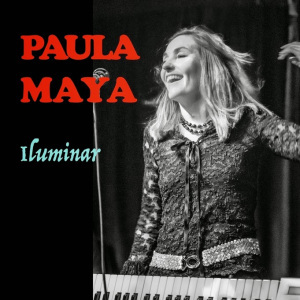 Among the musicians helping boost the visibility of Brazilian artists locally is singer-songwriter and keyboardist Paula Maya. In her sixth studio album, “Iluminar,” she takes a departure from previous pop, electronica and rock-influenced albums and digs deeper into her Brazilian roots. Originally from Rio de Janeiro, Maya features mostly Portuguese songs on her latest record, including everything from traditional bossa nova to a reggae-inspired pop tune. Release show May 7 at One-2-One Bar. This entry was posted in Meet The Band and tagged news. Bookmark the permalink.